The online screen preview is a reference only, final wording will be supplied by correspondence with IP Australia in line with the reference number you provide. Fresh Creative will take all care to provide accurate information, however Fresh Creative take no responsibility should an error in information occur. In some cases your IP certificate may carry over to two pages, if this applies you will be notified and additional costs will apply. All orders placed online will be followed with a proof via email for you to approve. Once approved, you may not make any further changes. Order payment must be completed before print and delivery. Fresh Creative do not offer refunds or warranties. Fresh Creative will arrange delivery and take all care to ensure your certificate and/or frame will arrive in good order, however should incident occur causing damage to your certificate and/or frame, Fresh Creative take no responsibility for damage costs. If frames are out of stock your order will be placed on back order and delivery times may extend. Should this occur you will be notified of the delay by a Fresh Creative team member. This is a commemorative certificate only and is not an official record. The IP Australia databases are the official records and should be referred to for the full details pertaining to this right. IP Australia supply the information for use on the commemorative certificate from the official record at the time of the request. 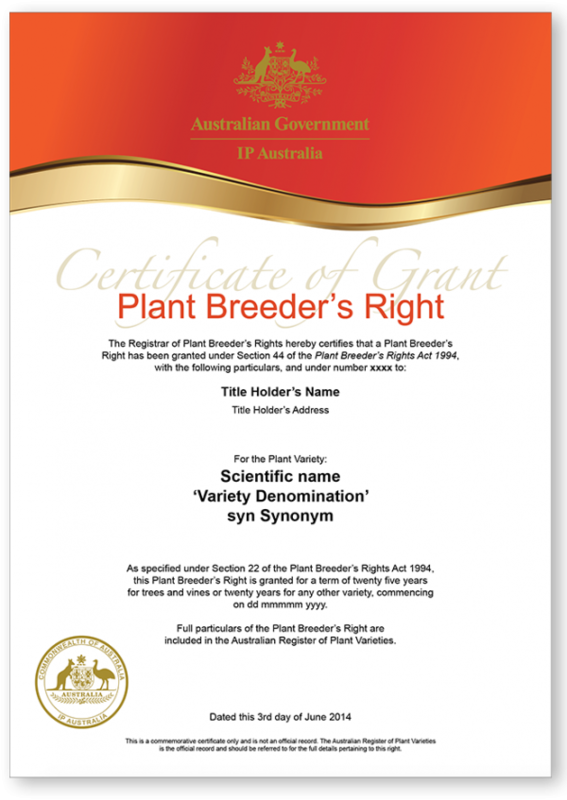 If you find an error with the information on the proof copy of the certificate, please contact IP Australia via e-services to correct this prior to placing an order. IP Australia does not offer warranties or refunds if the information supplied matches the official record.